High Five – a new kind of gloves! 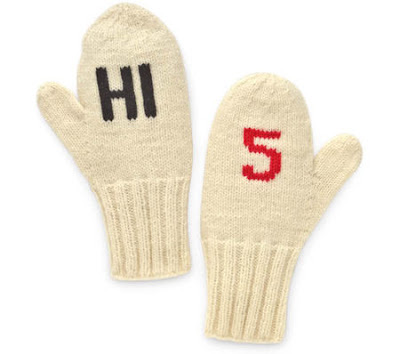 I’m a big fan of high fives and I’ve just come across the perfect accessory for fellow high-fivers. These mittens are from designer Kate Spade, sister-in-law of actor and comedian David Spade and the co-founder and namesake of Kate Spade New York. With winter quickly approaching I would love a pair! I have the image of people walking around wintry cities, huddled up in their warm coats, seeing another person wearing these mittens and then spontaneously high-fiving each other… is this just me? Annoyingly, they’re very expensive; $95 is far too much to spend on a pair of gloves, especially novelty gloves. Luckily they’re sold out at the moment anyway so I can avoid the temptation! She has also designed this pair, perfect for hailing a cab! I’m now trying to think of more witty glove designs… maybe I could take up knitting and make them myself! Interested in fashion and modelling? Click here to visit the Models Direct website. 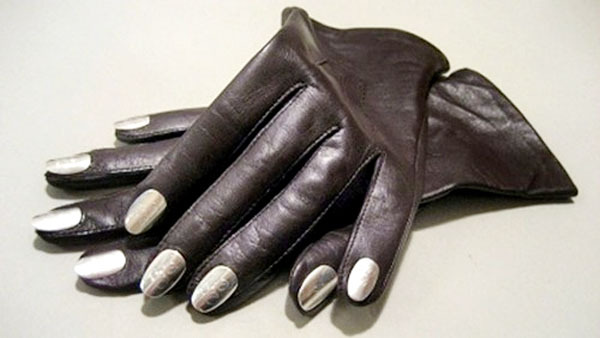 Author BethanyPosted on August 26, 2009 August 26, 2009 Categories Fashion News, GeneralTags david spade, gloves, high five gloves, high street fashion, kate spade, kate spade gloves, kate spade new york, taxi glovesLeave a comment on High Five – a new kind of gloves!